Hockey Plumber: If Devils Add Kovalchuk Whom Do They Subtract? Abra Kadabra Holmes! If Devils Add Kovalchuk Whom Do They Subtract? Abra Kadabra Holmes! The most interesting side story to the Kovalchuk contract ordeal is the speculation regarding what player(s) the Devils will have to move to get back within the parameters of the salary cap. Should Kovalchuk's new deal be approved, and if it is the $6.66m cap hit that it is speculated to be, the Devils would be roughly $3.6m over the cap. If that is the case, they could use the Blackhawks' Huet/cheat-the-system method and simply send a player to the minors to hide their cost against the cap. Although it is the simplest method, it seems very un-Jersey like, and there are few candidates to choose from. Many, including the New York Post's Mark Everson believe that the Devils will make a trade or two to free up space. It's difficult to fathom, but rumors are floating that Travis Zajac may be among the players the Devils will eventually sacrifice to get under the salary cap if Ilya Kovalchuk's $100 million, 15-year contract is approved by the NHL. Conventional wisdom suggests Bryce Salvador ($2.9 million) and Dainius Zubrus ($3.4 million) are the obvious candidates to surrender for the $3-5 million in cap space the Devils would need to clear by the start of the season if Kovalchuk's deal is approved. 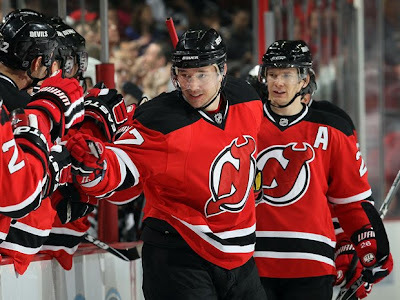 Zajac, 25, signed a new deal last summer that has a cap hit of $3.89 million for the next three seasons. He is coming off his best season of 25-42-67. With all due respect to the honorable Lou Lamoriello... and remember I said "with all due respect", but with each player that the team sacrifices for the sake of the additions of this summer, the luster of those acquisitions fades. Particularly the Jason Arnott deal. For $4.5m??? 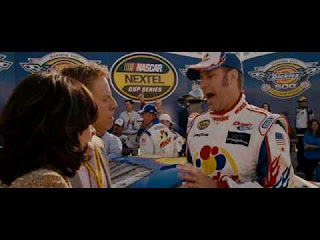 He "ain't worth a painting of a whale and a dolphin gettin' it on" especially when you consider that he will cost the team talent in addition to the unattractive salary! As crazy as the suggestion of trading Zajac is, it may be the reality. I mean, who really wants Salvador or Zubrus at their price?